Kisharon has welcomed the health targets set in the NHS Long Term Plan, and the new job opportunities it pledges for adults with learning disabilities and autism. 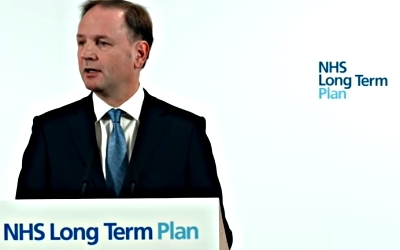 The ten-year strategy, announced on January 7, promises supported internships in the NHS, with half leading to paid employment. “People we support are keen to work so this could be very good news for us,” said Julia Brown, Kisharon’s Director of Operations. The new NHS plan focuses on prevention and the early detection of disease with important targets for people with learning disabilities and autism. Stopping the over-prescribing of psychotropic medicine, better health checks and increased investment in community support to reduce inpatient admissions are among them. Kisharon already has a fine record in preventing unnecessary hospital admissions and has welcomed newcomers into supported living following long periods in hospital. Other targets set in the government’s plan include limiting institutional care for children and young people with learning disabilities, and a digital flag in the records of patients with learning disabilities or autism to alert staff. If you would like to know more about the standards you should expect from your local NHS in easy read, click here.